Chosen as a topical item and another Mendle Brothers product in an attempt to sort out the role of Julius Mendle in the firm. Rabbit egg cup AIBDC : 006396SA Someone must have modeled this charming rabbit. Do you know who that could have been? 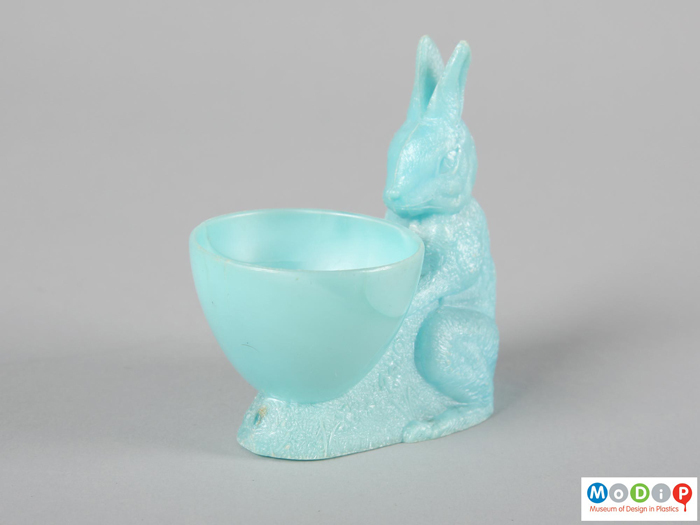 Sadly this charming Easter egg cup is moving to cold cases. Still you can always find it there. Submitted by Susan Lambert on Sun, 13/04/2014 - 13:04. Another Mendle Brothers product. Again we are after the designer. Could it have been designed by the same person as the tray?